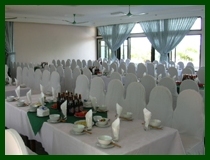 It has 155 rooms overlooking Ha Long Bay, The hotel has three dining halls with 500 seats, serving both European & Asian dishes, three conference halls for 50 or 200 people. 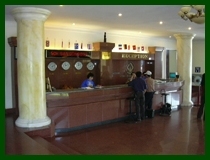 Beside, it can offer other services in health, massage, sauna, hairdressing, laundry, souvenirs, karaoke, cocktail, internet, taxi and air-ticket booking by an experienced, wholehearted and hospitable staff. 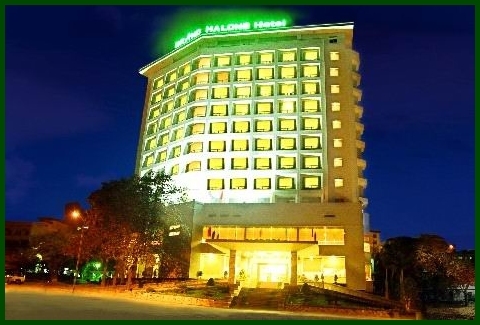 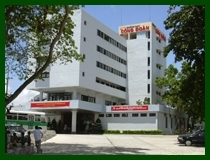 Cong Doan Hotel Halong offers attractively furnished, elegantly decorated and spacious Rooms and Suites most of which have splendid view over Halong Bay. 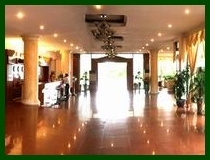 All Rooms are equipped with 3-Star International amenities and facilities such as individually controlled Air-conditioning, Satellite TV Channels, Mini-Bar, Private Bathroom with Bath-Tub and Shower, Hair Dryer and Coffee/Tea making facilities.